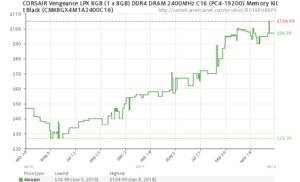 During the few past years, the price of DRAM has droppped significantly… well, not in 2017. 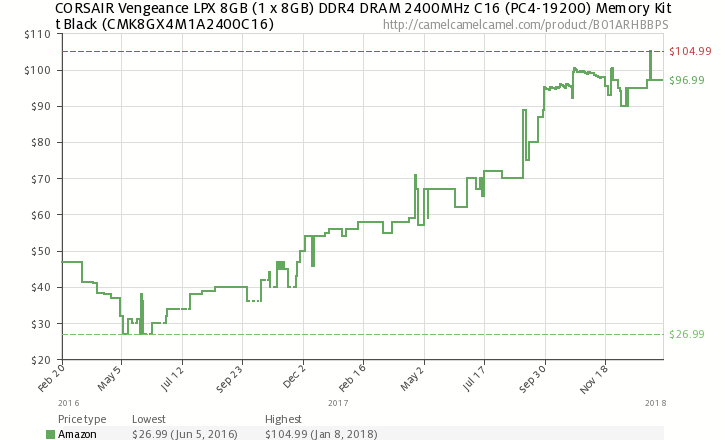 Here is the example of the price of a DDR4 2400MHz stick from February 2017 to January 2018. With a lot at $27 in May 2017, it is now at $97. It’s around a 3.5 folds increase. It’s an 11 times increase, with apps eating RAM like that, 8GB are really not enough, this has to stop. What will 2018 be made of?